To celebrate our 20th year in business we wanted to do something special with the staff who have helped us achieve this important milestone, so we had had a poll amongst staff to see what sort of event would be welcome. 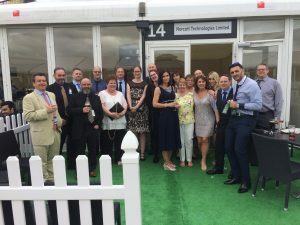 The result was a fantastic day out at nearby Chester Races. The day was a huge success with all the staff that attended giving it the thumbs up…even the weather was kind to us.